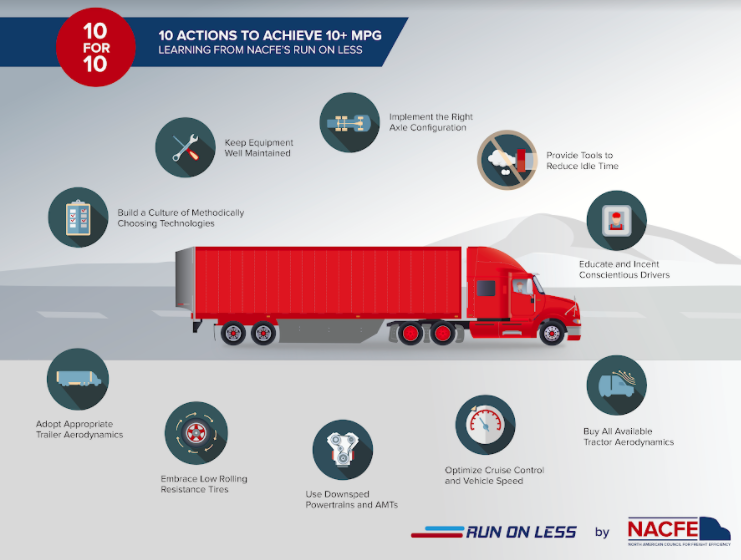 Run on Less demonstrated how Class 8 tractors and trailers can use different technologies to achieve the best fuel economy possible. 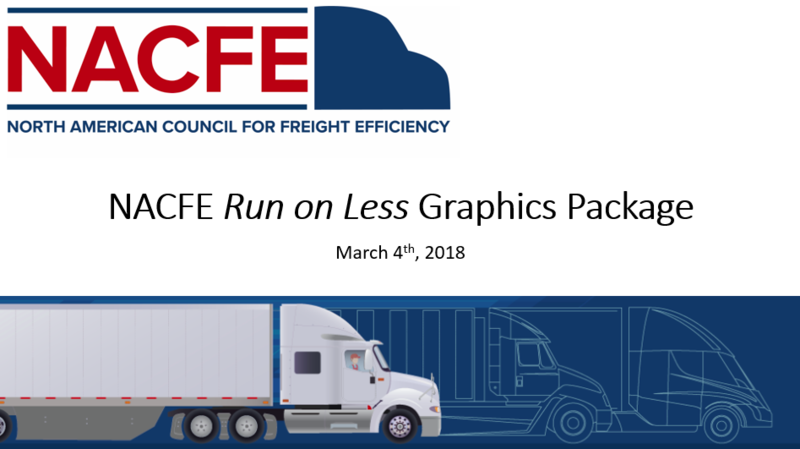 Seven fleets using trucks with commercially available technologies participated in the Run: Albert Transport Inc., PepsiCo’s Frito-Lay division, Hirschbach, Mesilla Valley Transportation, Nussbaum Transportation, Ploger Transportation, and US Xpress. The trucks represented a variety of duty cycles as they traveled across the continental United States for three weeks. The goal of the run was to demonstrate how to achieve the best fuel economy in today’s highway tractors, with a target of surpassing 9 mpg. Reliably collecting data and calculating results was critical to Run on Less and the team selected Geotab as its data collection partner. Where practical, two separate methods for collecting and calculating each metric was used. 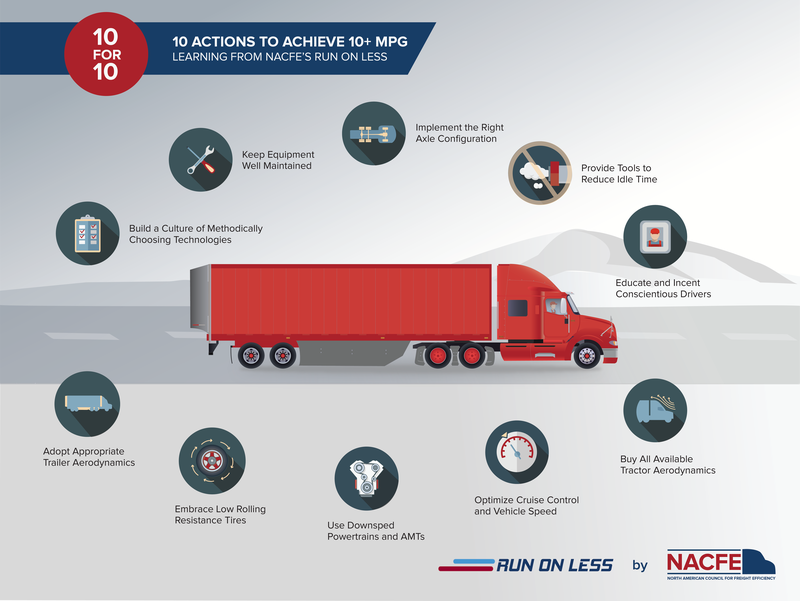 Additionally, to supplement the MPG data, some factors that can affect MPG including gross weight, vehicle speed, wind and elevation change were recorded. Along with fuel and distance travelled by each vehicle which were the most critical parameters that were tracked for Run on Less. In total, the seven trucks averaged 10.1 mpg over the 17 days of the Run. This was compared to a national average of 6.4 mpg for the over-the-road tractor-trailer population. The trucks covered a total of 50,107 miles at an average gross weight of 55,498 lbs. The distribution of daily average mpg is centered between 10.0 and10.5. Five truck-days (one truck on one day equals truckday) were between 7.0 and 8.0 mpg and four truck-days were between 12.5 and 13.0 mpg. The trucks totaled 543,903 feet in elevation gain, and dealt with various weather conditions including the effects from Hurricanes Harvey and Irma. The overall average speed during the Run was 54 mph. You can download the full results here. The team collected and showed data on the conditions and speed during Run on Less in part to demonstrate that the Run on Less trucks were not operated in carefully controlled settings but in the real world where wind, elevation changes, and other factors can and do impact fuel efficiency. The team developed a multiple regression model from the data collected during Run on Less. Regression analysis is a tool often used to understand the relationship between a dependent variable to one or more independent variables (also referred to as predictors). In this case, the regression shows which and by how much the predictors—elevation, temperature, wind speed, vehicle speed, and vehicle gross weight—affect mpg at highway speeds.